With the NHS making consultant outcome data public for the first time, Dendrite approached The Communications Group to build a couple of websites for the public display and analysis of the Endocrine and Bariatric data. As the majority of the data needed to be displayed graphically, we worked with the team at The Communications Group to develop a graphing system based on R (a statistical library) and Pchart (a charting library for PHP). 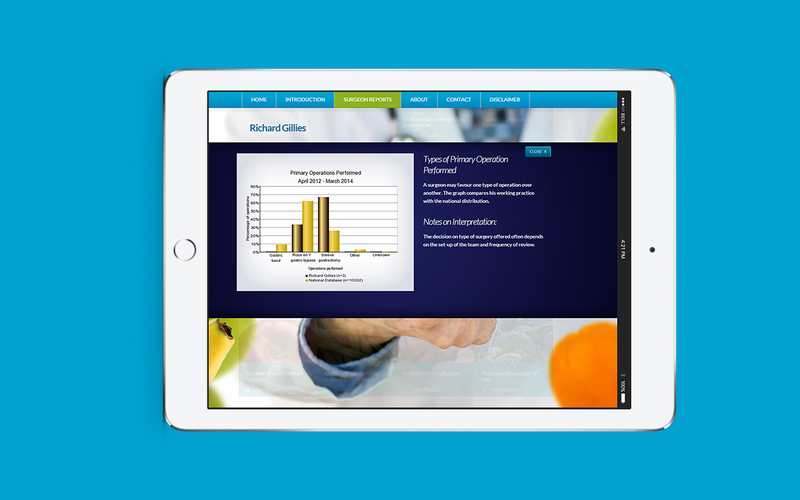 Graphs were produced for each consultant based on their surgical data and are displayed on their individual webpages. The data is searchable by various fields including postcode, consultant name or hospital name. A second phase has since been completed which added a postcode search and provided a map based on Google's map API. The postcode search updates the map to show nearby hospitals and all consultants that have worked at each location.